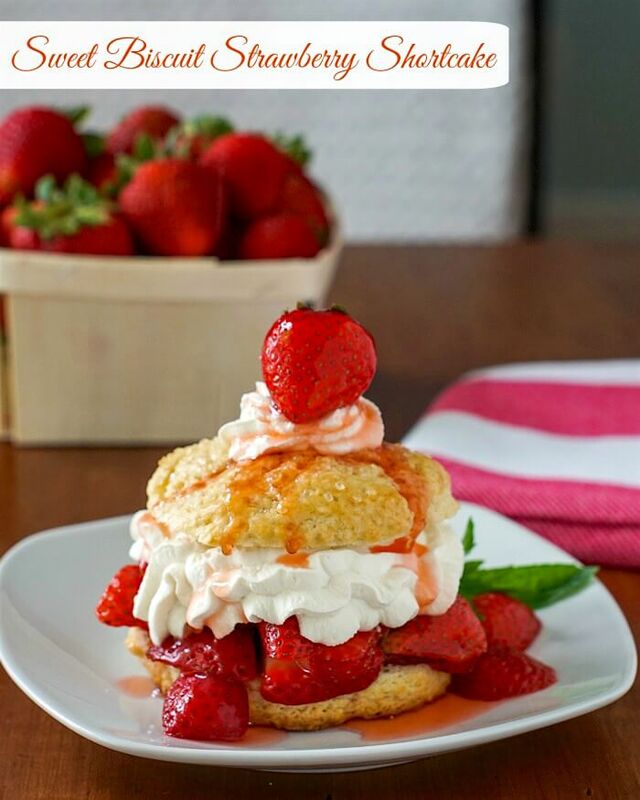 Sweet Biscuit Strawberry Shortcake - the perfect summer BBQ dessert! Sweet Biscuit Strawberry Shortcake. A super simple dessert that’s perfect for summer barbecues and picnics. This recipe for Sweet Biscuit Strawberry Shortcake is a real family favourite around here. I cannot count the number of times we make this dessert, especially in the summer time when fresh local strawberries are at their peak. It’s a bit of a tradition that, when we took the kids to Lester’s Farm U-pick Strawberry Fields each year, this would always be the first thing they would want to make when they got home. They never got much of an argument out of me and if my much older teenagers are up for it this year, we’ll do it all over again. I first had this version of strawberry shortcake in a small cafe in Amherst, Nova Scotia about 30 years ago or more, when I was on a road trip vacation with some friends. I still remember the simple perfection of that delicious combination of fresh biscuit, strawberries and cream. I’ve been making them ever since then and have since seen them made this way in many places throughout Canada and the US. I must have led a very sheltered early life! Sweet Biscuits ready for the oven. 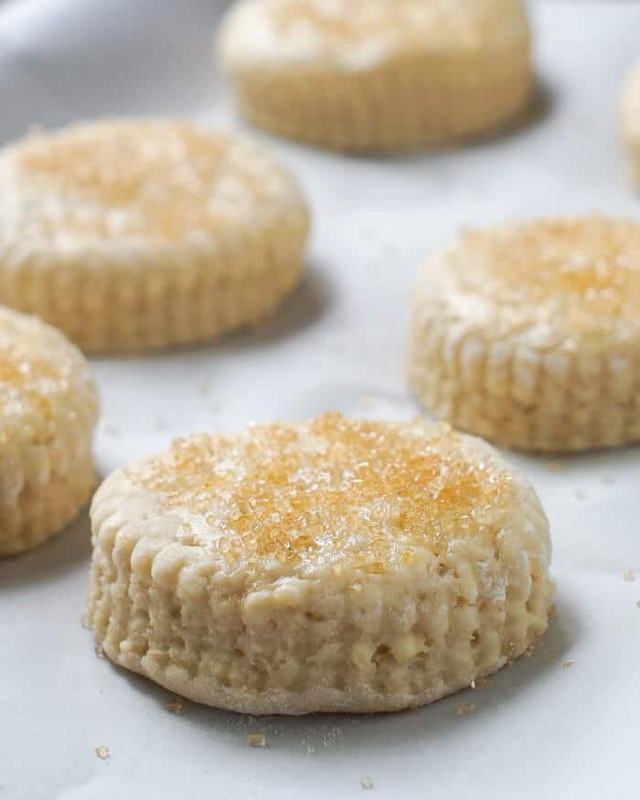 My favourite biscuits to use for this recipe is a sweet biscuit version, with a little crunch from turbinado sugar sprinkled on top before baking. When fresh baked, I think they are the perfect balance between having crispy edges and a nice soft interior. But it’s not just strawberries we use to make these delectable shortcakes. We use whatever fresh fruit or berries are in season to make these delicious, easy desserts; peaches, nectaries, plums, cherries, blackberries, raspberries…whatever you like. Sweet Biscuit Strawberry Shortcake, a summer dessert favourite. We must make them a dozen times or more during the summer and it’s one of our favourite desserts to serve at the end of a barbecue with family and friends. Our family also pack these up for picnics and cookouts too. We carry along the biscuits, whipped cream and macerated strawberries in sealed bowls in our cooler, then assemble the dessert on site. It’s always a hit! Take them along on your next summer picnic. It won’t be the last time you do! Like this Sweet Biscuit Strawberry Shortcake recipe? 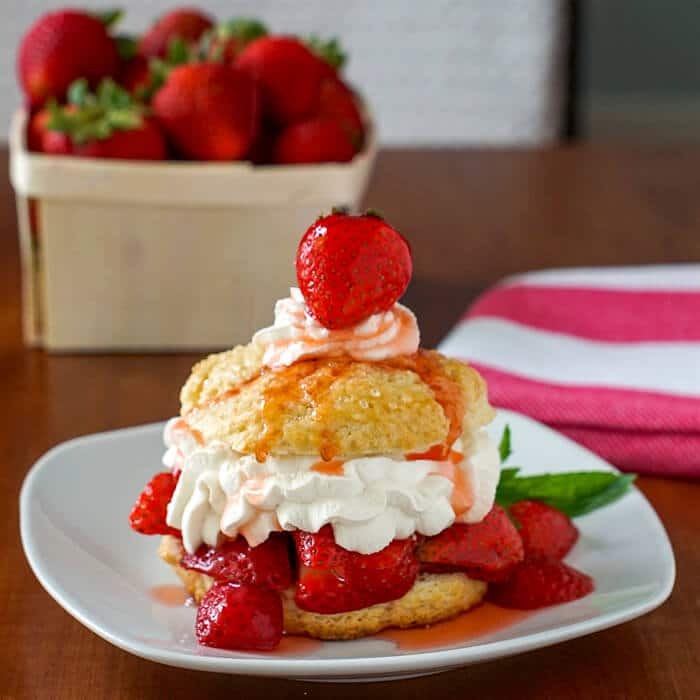 Sweet Biscuit Strawberry Shortcake - a super simple dessert that's perfect for summer barbecues and picnics. Wash and hull the strawberries and place them in a glass bowl. Sprinkle the sugar onto the berries and toss well. Leave to macerate together for about an hour., tossing the berries in the sugar/syrup occasionally. This step draws some of the juice from the berries to form a sweet strawberry syrup. Whip the cream, icing sugar and vanilla extract together to firm peaks. 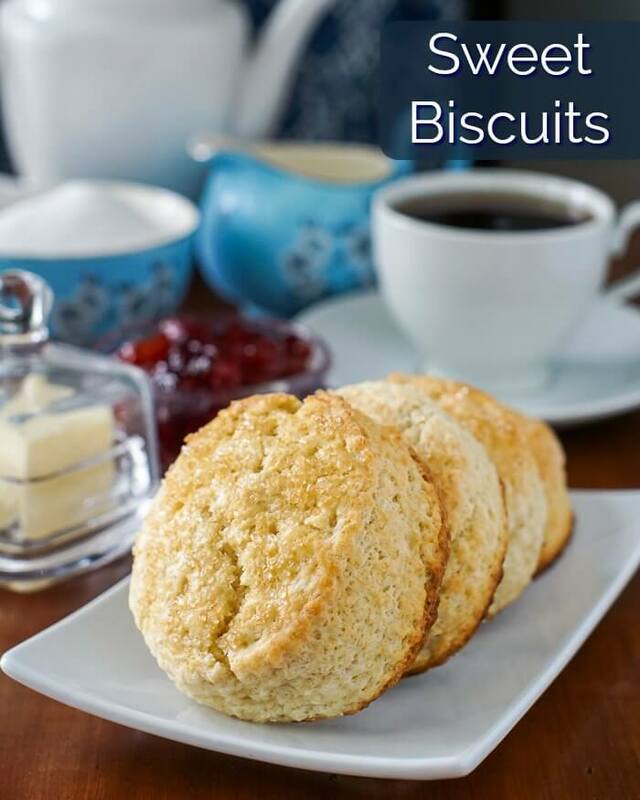 When ready to serve, split the biscuits in half with a sharp serrated knife. Spoon some of the macerated berries onto the bottom half of the biscuit followed by some of the whipped cream. 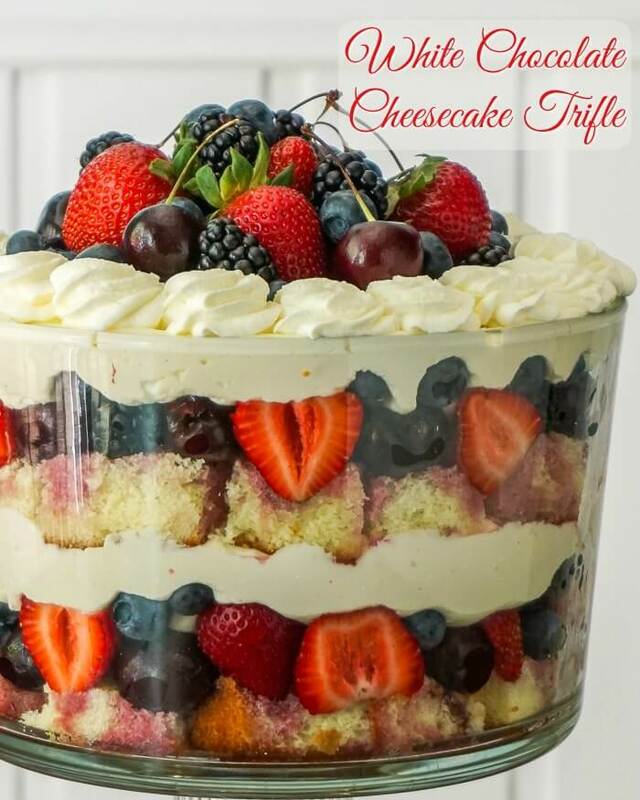 Place the top half of the biscuit on top, garnish with another dollop of cream and a whole fresh berry. Drizzle some of the strawberry syrup over the top and serve. Thank you for picnic dessert suggestion ! Have to do it before the heat arrives over here ! 🙂 It usually comes to stay …. Im 72 now and only been back a handful of times but I still consider it home. I love all the down home recipies as well as other recipes you post for all.to enjoy. Just want to say a huge thanks.